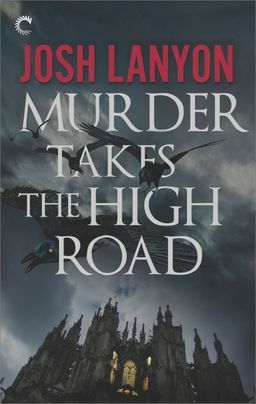 Librarian Carter Matheson is determined to enjoy himself on a Scottish bus tour for fans of mystery author Dame Vanessa Rayburn. Sure, his ex, Trevor, will also be on the trip with his new boyfriend, leaving Carter to share a room with a stranger, but he can’t pass up a chance to meet his favorite author. Carter’s roommate turns out to be John Knight, a figure as mysterious as any character from Vanessa’s books. His strange affect and nighttime wanderings make Carter suspicious. When a fellow traveler’s death sparks rumors of foul play, Carter is left wondering if there’s anyone on the tour he can trust. Drawn into the intrigue, Carter searches for answers, trying to fend off his growing attraction toward John. But as unexplained tragedies continue, the whole tour must face the fact that there may be a murderer in their midst—but who?